The camp is intended as a place of learning for Indigenous and non-Indigenous peoples alike. Sacred Fire provided some of the seed funding for its first year. The Program was founded in 2016 to expand the efforts of the Gwich’in Elders’ Traditional Stories Project. 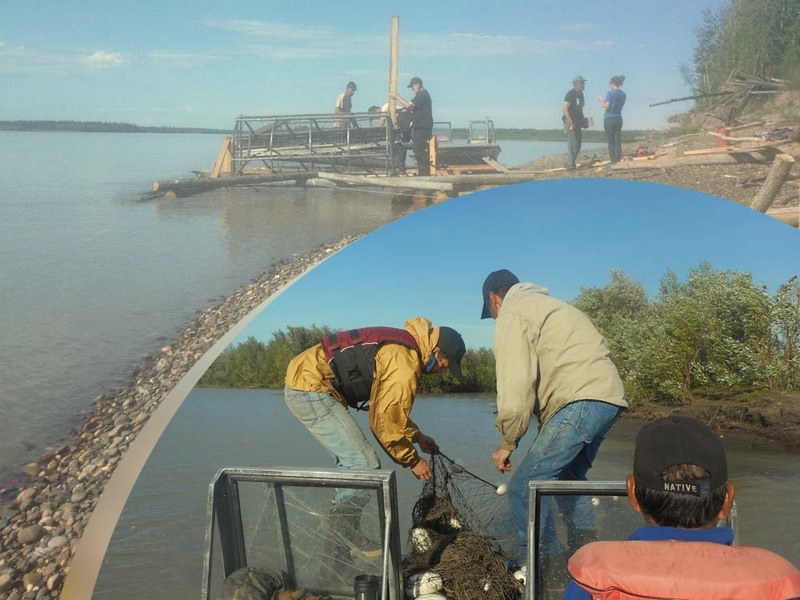 Activities in the camp include many traditional practices: hide tanning, fishing, fish and meat cutting, making and using snares and traps, building and using a fish wheel, maintaining and using gill nets, survival skills, cooking and preservation of food, canoe-making, and sled-making. Moral and ethical consideration and behaviors within local and Gwich’in worldviews, life-ways, and cosmology, are also taught. The connection between daily and survival activities with behavior and self-conduct are emphasized within the holistic local knowledge systems.